A staple you need in your wardrobe are so classic tanks. A fun flowy top with a neckline you don't see everyday - just like an apron! 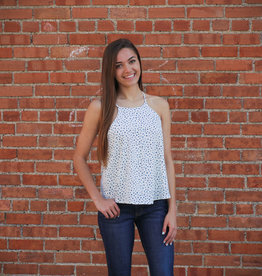 Navy blue tank with cream dot pattern.